Editor’s Note: The following column first appeared in WIN, Volume 19, Issue 3, and printed Dec. 18, 2012. When two seventh-graders met on a mat Nov. 29 in suburban Nashville, little did they know they were offering more than half a million fans a holiday gift beyond words. 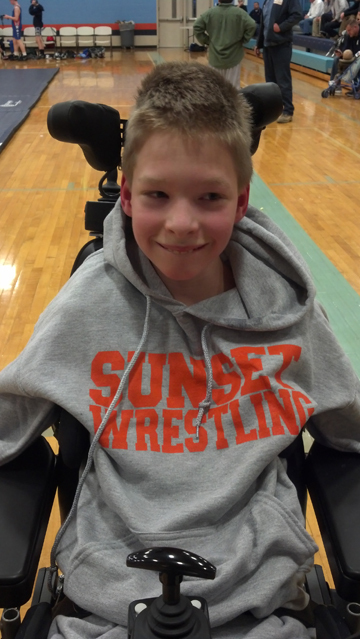 An inspiring video of a 90-pound match between Sunset Middle School’s Jared Stevens, who has severe cerebral palsy, and Freedom Middle School team captain Justin Kievit has gone viral across the nation and beyond. The video begins as assistant coach Jon Sandella places 13-year-old Jared on the mat. Justin shakes Jared’s hand, the whistle blows and — pulling Jared’s arm over his own body — Justin gives up a takedown and near-fall points before Jared scores a pin. But anyone who sees this video — you can find it at http://www.youtube.com/watch?v=Ao8UbgSopD4 — knows that both boys are winners. “This is about courage and character in both those kids,” said Phil Stevens, Jared’s dad. Jared’s coach, Clay Mayes, and Justin’s coach, Randy Stevens (no relation to Jared) have known each other for 20 years, but Coach Stevens (whose own team includes a 12-year-old double amputee) had never heard of Jared until just before the meet began. “Immediately, I knew which kid would be the right one,” Randy Stevens recalled. “Justin’s the first seventh-grade captain I’ve ever had. He just stood out as a sixth-grader, showing leadership qualities. He’s always helping his teammates. “He’s got ‘it’ — that gift — whatever it is,” Coach Stevens said. “There was no time for Justin to think,” noted Jared’s dad. “The coach literally turned around and pulled him out of the lineup, and that’s all the preparation he had. Justin’s two older brothers also wrestled in middle school, and Jared, one of triplet brothers, also has an older sister and brother. Last year, Jared joined his siblings on the football team; in the final play of one game, his teammates placed the ball in his lap and pushed his wheelchair across the goal line for a TD. 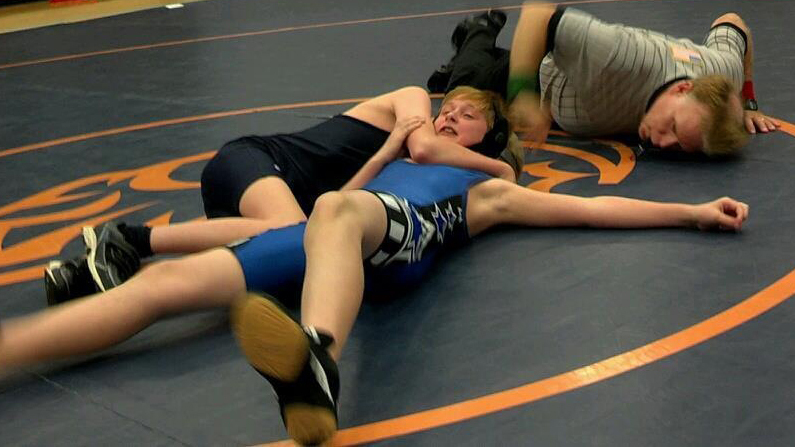 This fall, though, Jared wanted to wrestle. Jared passed his physical, got updated vaccinations and started practice. “The next logical step for a 13-year-old boy is getting a match,” Phil Stevens said. “The coaches brought him in in kind of an assistant coach role, but he said he felt like he could do more. Now the 90-second video has gained worldwide attention, the wrestlers themselves are taking it in stride. Stevens, who coaches other middle school teams, said wrestling — more than any other sport — provides that affirmation. This season, even Ebenezer Scrooge would approve.